You’d probably have to go back to Nelson Rockefeller to find someone who had a more self-satisfying final performance than the one Mike Mussina enjoyed during the 2008 season. “Moose” had been one of the most effective starting pitchers in the Majors during the previous seventeen years of his career but had never been able to win twenty games in a single season. Plus, after a mediocre performance in 2007, the pundits were saying Mussina was past his prime and the Yanks would be better off giving the ball to younger studs like Phil Hughes, Ian Kennedy and Joba Chamberlain instead of the aging 38-year-old right-hander. We Yankee fans all saw what happened to our young studs during that ill-fated season and I can’t imagine how much worse Joe Girardi’s first year as Manager would have been if Mike Mussina had decided to call it quits instead of pitching one more year. He went 20-9 with an ERA of just 3.37 and pitched over 200 valuable innings for a Yankee staff that was decimated by injuries and ineffectiveness. The 20 victories gave Mussina 270 for his career and made his case for getting to Cooperstown a heck of a lot stronger. Most other veteran hurlers who had the type of season and career numbers Mussina had as a 39-year-old would be anxious to cash in on one more multi-million dollar contract and continue their pursuit of 300-wins. Not Moose. He has always been a quiet guy who cherished family more than fame and retirement was an easy choice for him to make. Mike was born in Williamsport, PA, in 1968. 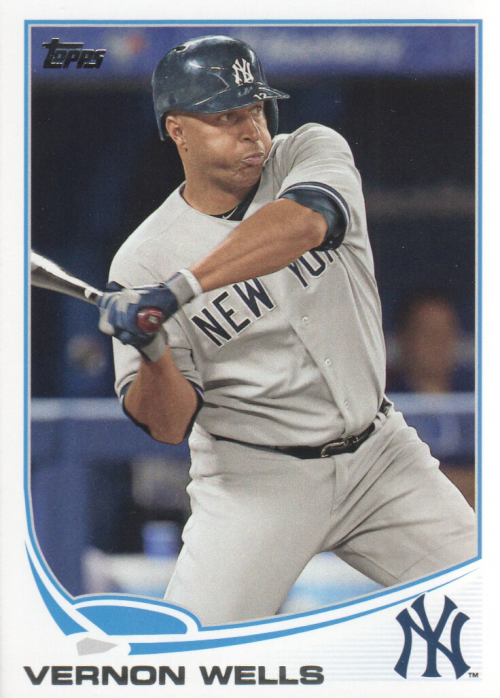 He shares his December 8th birthday with this outfielder the Yankees acquired during the 2013 preseason, this former Yankee reliever and this one-time Yankee shortstop. 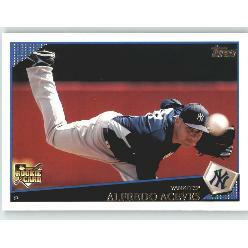 The Yankees found Alfredo Aceves pitching in the Mexican League in 2007. At the time, the right-hander, who was born in Mexico on this date in 1982, had been pitching in the professional league of his native country for the previous five seasons. The scouts loved the fact that he threw four quality pitches with good enough command to call upon any of them in a full-count situation. The Yankees signed him and first called him up to pitch in the Bronx during the 2008 season. His breakout season came in 2009 when he went 10-1 pitching out of the bullpen and became one of the most valuable members of Joe Girardi’s pitching staff. 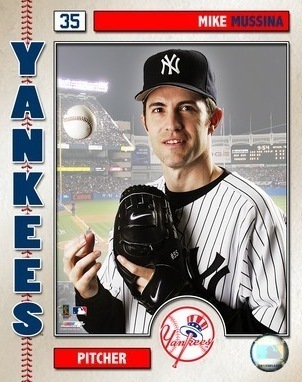 The only time he’s been noticeably ineffective in a Yankee uniform was during the 2009 ALCS against the Angels. Unfortunately, the injury bug hit Alfredo in 2010. He had a herniated disc that kept him off the mound most of the year and he then underwent surgery to repair a broken clavicle he suffered in a postseason bicycle accident back home in Mexico. This explains why the Yankees permitted a pitcher who has accumulated a record of 14-1 with two saves and a 3.21 ERA during his 59 appearances for the team, to become a free agent. If Alfredo’s bad back has healed and he experiences no complications from the recent surgery, I expect him to once again use those four good pitches he can throw on any count and have a real good year pitching for some team in the Majors in 2011. I’m hoping that team will be the Yankees. Today is also the birthday of a Yankee pitcher who called it quits after a season during which he won twenty games for the first time in his career. This one-time Yankee shortstop and this Yankee outfielder were also born on December 8th.